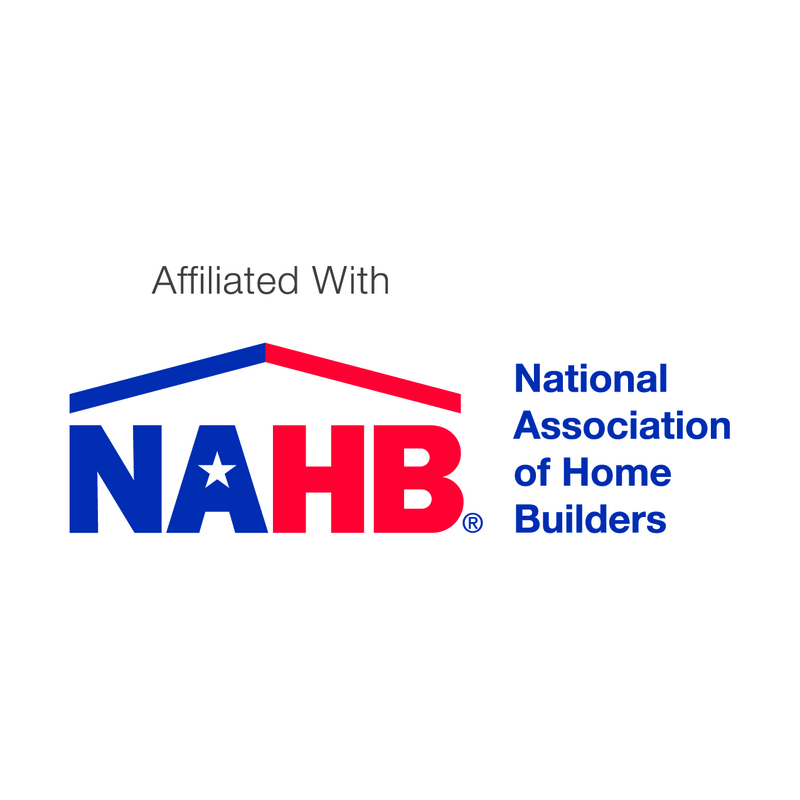 The National Association of Home Builders exists to serve its members. NAHB strives to protect the American Dream of housing opportunities for all, while working to achieve professional success for its members who build communities, create jobs and strengthen the nation’s economy. NAHB members will save a total of about $7,500 per housing start in 2018 due to NAHB’s advocacy efforts in 2017 and other member benefits. 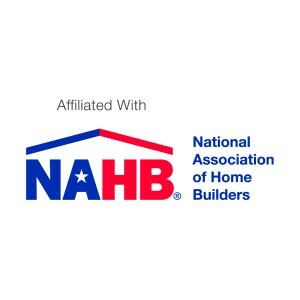 To Learn More About NAHB visit www.NAHB.org. To Access and learn about your member savings benefits provided by the National Association of Home Builders visit www.nahb.org/ma or click on the image below. These two unchanging messages establish the value of what we do, providing homes and jobs across America. Homeownership is the Foundation of the American Dream. The nation’s housing and homeownership policies over the last century have contributed to the growth of the middle class and helped the United States become the most dynamic economy the world has ever seen. Fully 15 percent of the U.S. economy relies on housing and nothing packs a bigger local economic impact than home building. Constructing 100 new single-family homes creates 297 full-time jobs, $28 million in wage and business income and $11.1 million in federal, state and local tax revenue. A healthy housing industry means more jobs and a stronger economy. Home building increases the property tax base that supports local schools and communities. Housing, like no other sector, is “Made in America.” Most of the products used in home construction and remodeling are manufactured here in the United States. Regulatory Reform. On average, nearly 25 percent of the cost of a single-family home is attributable to government regulation. Equally disturbing, the cost of regulation in the price of a new home is rising twice as fast as the average American’s ability to pay for it. Only be undertaken after a careful consideration of the costs and benefits as well as the potential effects on small businesses. Housing Finance Reform. NAHB is a strong proponent of housing finance reform that would increase the role of private capital in the U.S. housing finance system but maintain a limited federal backstop to the nation’s housing finance system. Federal support is particularly important in continuing the availability of the affordable 30-year fixed-rate mortgage, which has been a staple of the U.S. housing finance system. Create a market-based visa system that will allow more immigrants to legally enter the construction workforce as the housing industry gains momentum and the demand for workers increases. Environment. NAHB supports a common sense, scientific approach to safeguarding the environment that reasonably balances protection of endangered species, clean air and clean water, with the need to allow local communities to grow and thrive. Record-high lumber prices are harming home builders and home buyers. For the week ending May 25, 2018, lumber prices hit a record $578 per thousand board feet, according to the Random Lengths Framing Composite Index. This represents a 42 percent increase from one year prior, 62 percent since Jan. 1, 2017 and 81 percent since Jan. 1, 2016. Since the beginning of last year, rising lumber prices have increased the price of an average single-family home by more than $7,000. These unprecedented price hikes are being exacerbated by tariffs averaging more than 20 percent on Canadian softwood lumber shipments into the U.S.
You can help by contacting your S. Representative and Senators and asking them to urge President Trump to re-start softwood trade negotiations with Canada. While it is important to find an equitable solution to the trade dispute more needs to be done. Since the U.S. imports roughly one-third of its lumber from Canada and does not have the capacity to meet demand, NAHB is also working with Congress and the administration to take steps to increase domestic lumber production. The recent spending bill approved by Congress includes several reform measures that would reduce the red tape that inhibits our nation’s forestry professionals from harvesting timber from federally-owned lands. NAHB will continue working on all fronts to find solutions that will ensure a lasting and stable supply of lumber imports into the U.S. at a competitive price. To celebrate National Homeownership Month, NAHB has established a campaign focused on the benefits of homeownership. NAHB has developed special materials — including a Guide to Celebrating National Homeownership Month and tips to use social media — to help you highlight positive messages about the home building industry and provide consumers with information on the benefits of homeownership. Members can view other resources to help you implement a homeownership campaign in your community. For more information on National Homeownership Month,, email Anne Baker or call her at 800-368-5242 x8447.